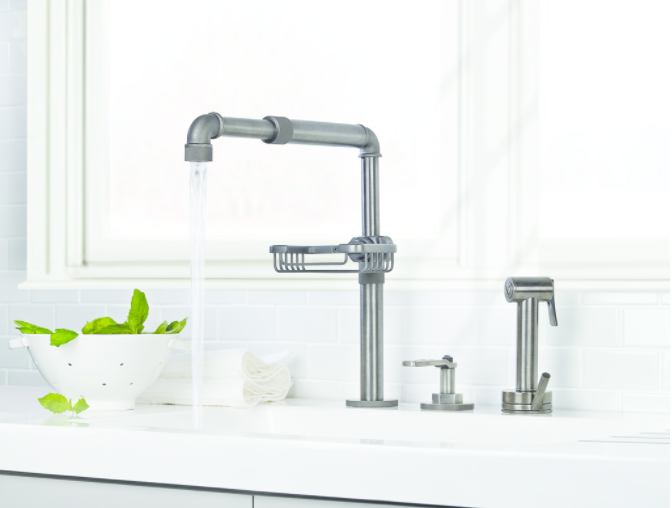 Watermark’s Elan Vital Kitchen Faucet with the optional wire basket offers it’s users the ability to adjust the telescopic spout that extends or retracts as needed. 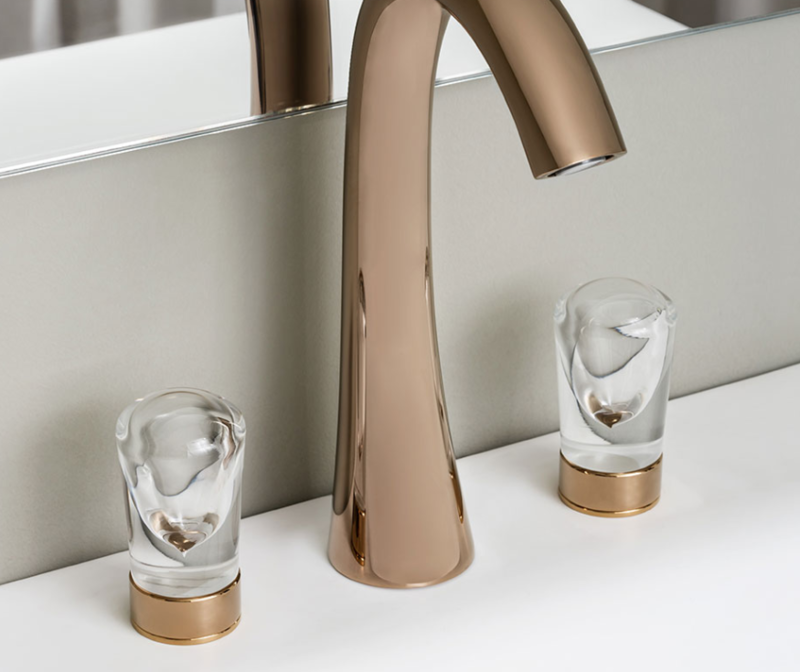 The faucet also allows users to adjust the temperature and water pressure to the desired settings, making this faucet very user-friendly and customizable! 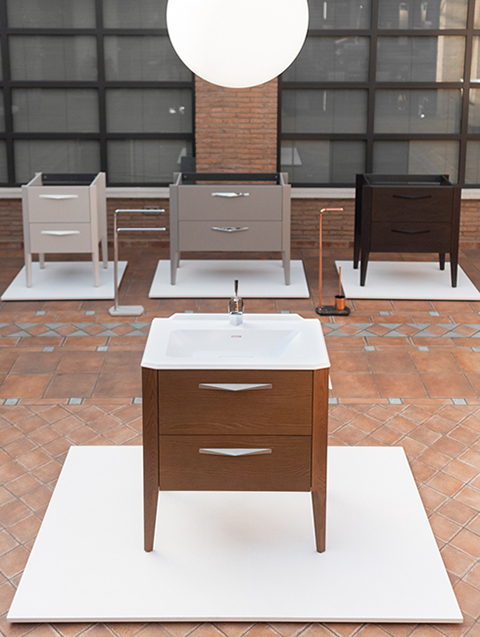 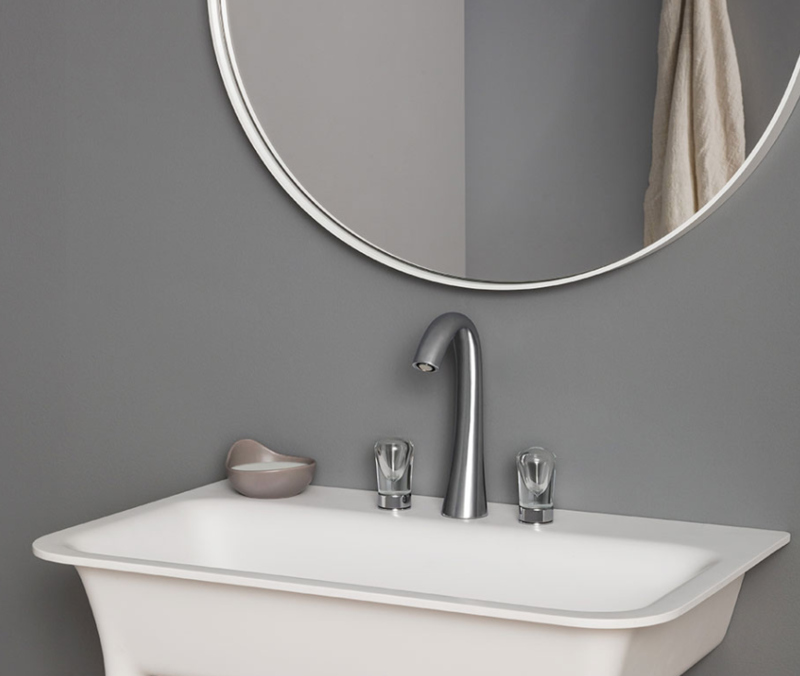 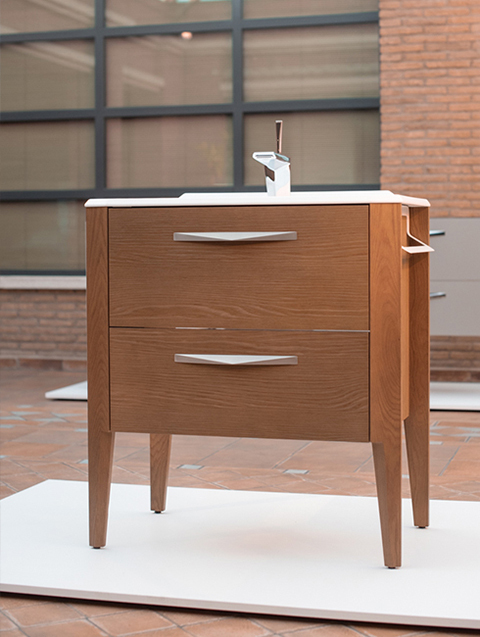 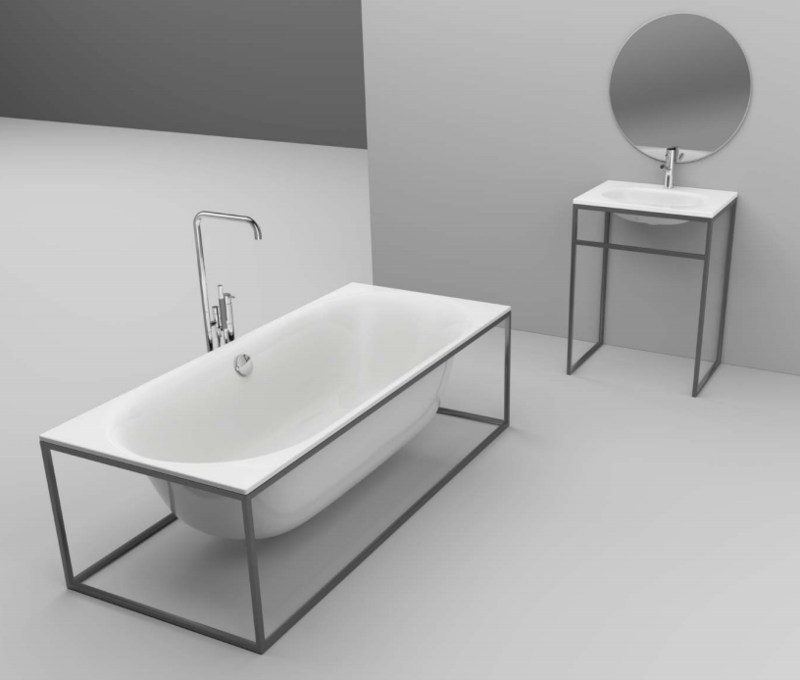 Schmidlin’s Riva frame tub and Duett frame sink are designed with an oval construction and are sophisticatedly shaped. 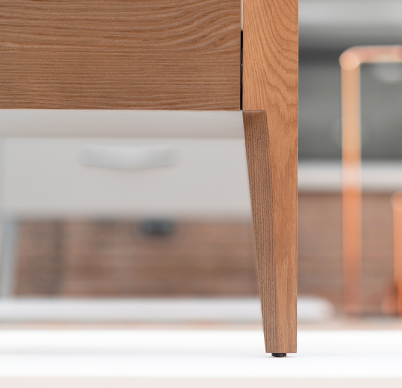 Both are supported by a glazed titanium steel frame!